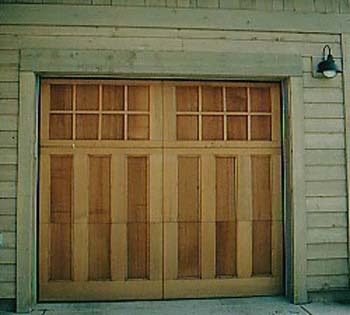 Garage doors are not simply function ~ Custom wood doors are the ultimate in bringing a piece of history and authenticity to your home. 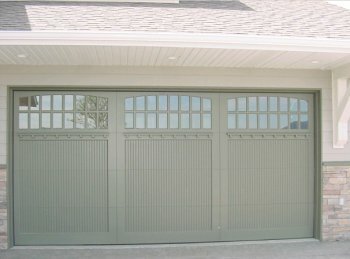 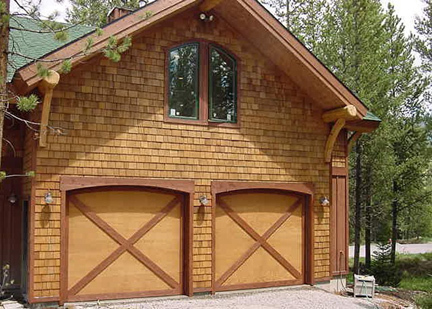 Montana Rustics is the vehicle to bring innovation and creativity to your garage door systems. 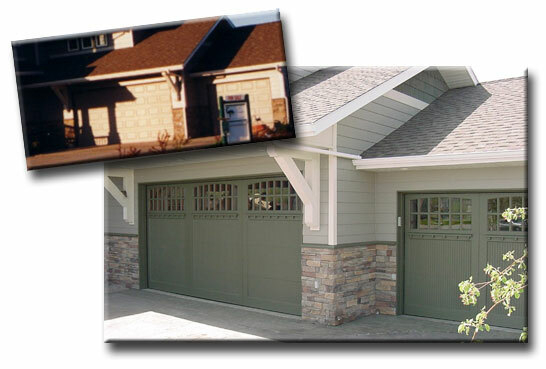 After all, in most homes, you will find the garage doors to be a substantial part of the front view of your home. 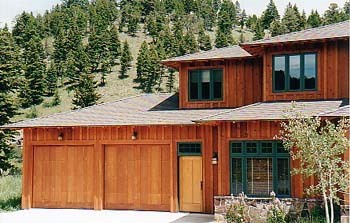 So make the first impression of your home extraordinary! 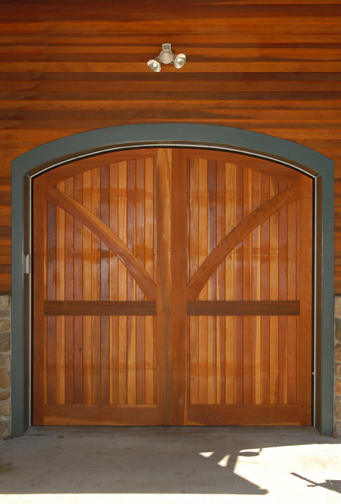 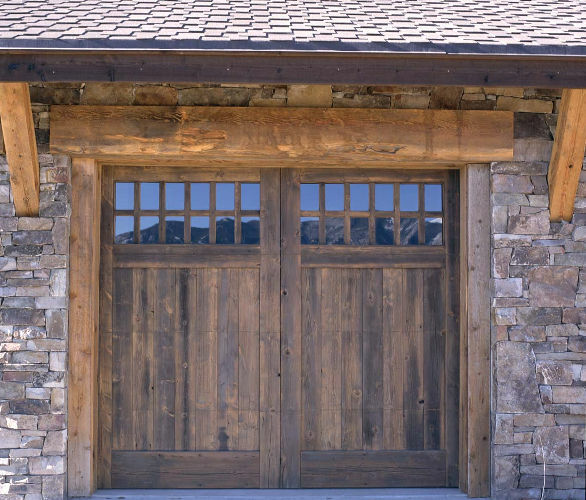 Your custom wood door will have the authentic look of the swing style carriage house doors; with the convenience of overhead operation so you can open it with the touch of a button. 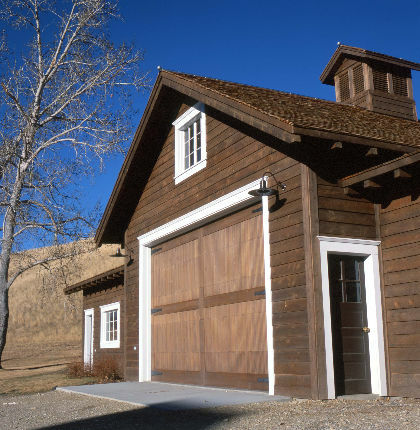 So whether you are building anew, preserving a historic landmark, renovating your own home to it's original authenticity, or just ready for a splash of character, you can give your home the curb appeal that will set you apart and connect with the past in beautiful ways. 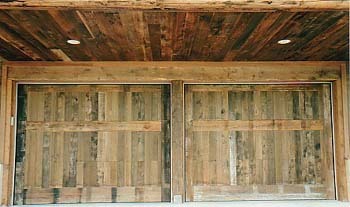 After all, distinction is defined in the details. 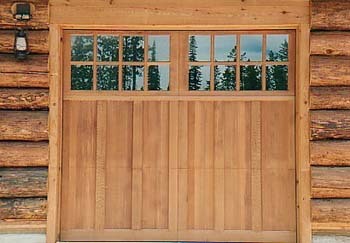 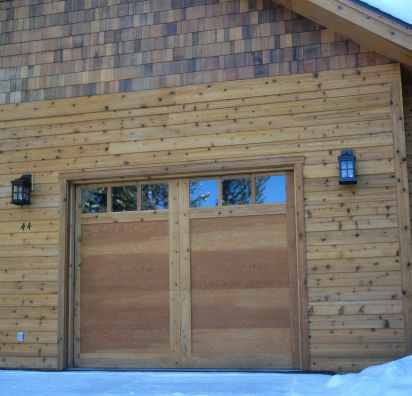 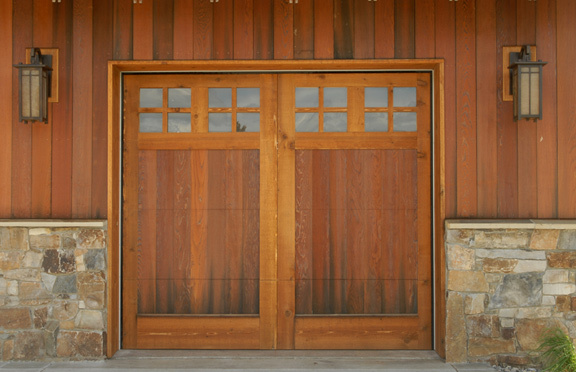 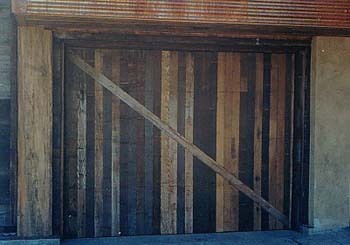 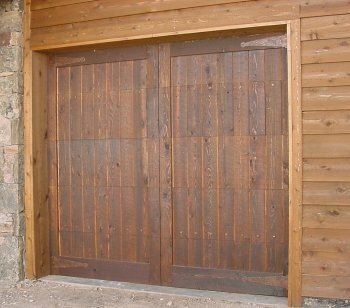 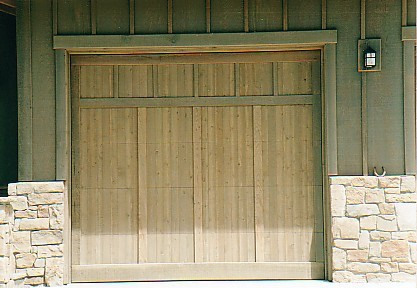 Authentic wood garage doors from Montana Rustics are one of the best ways to achieve that. 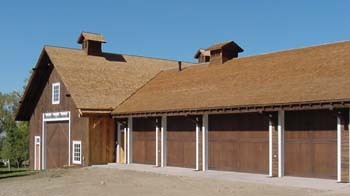 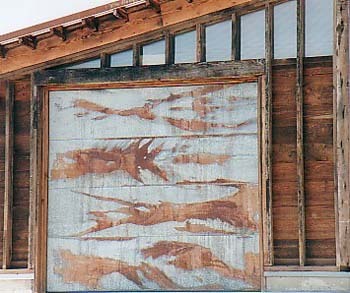 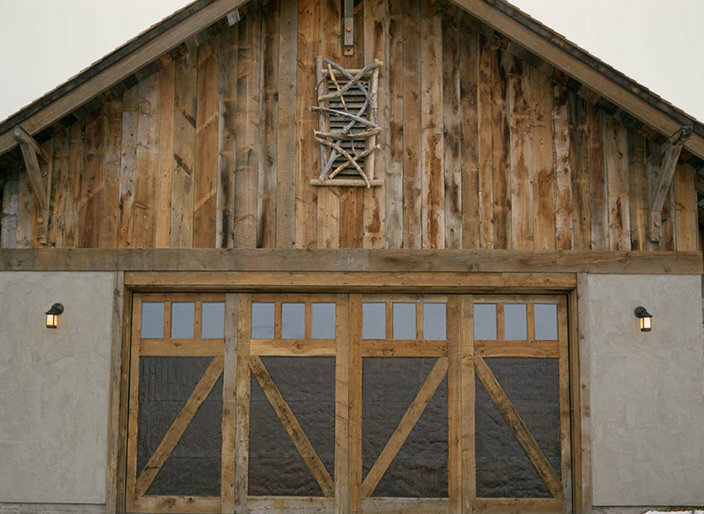 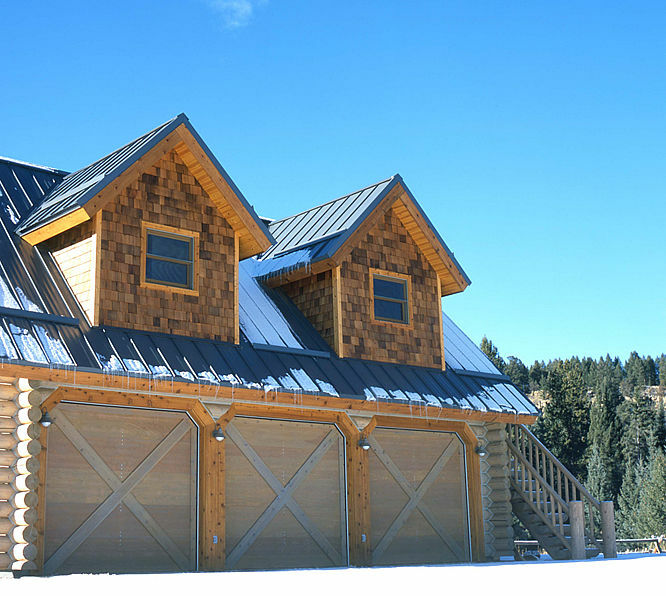 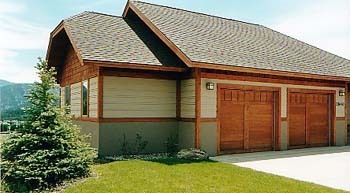 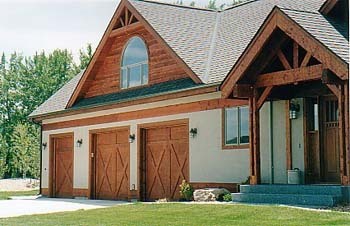 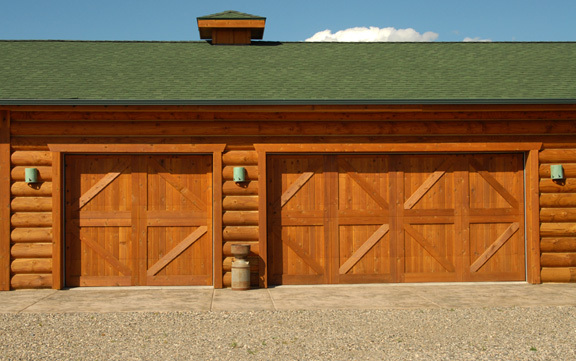 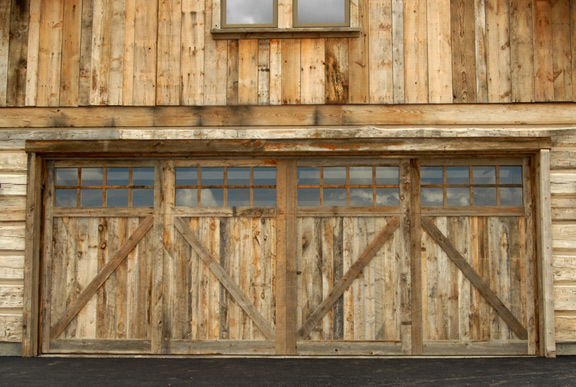 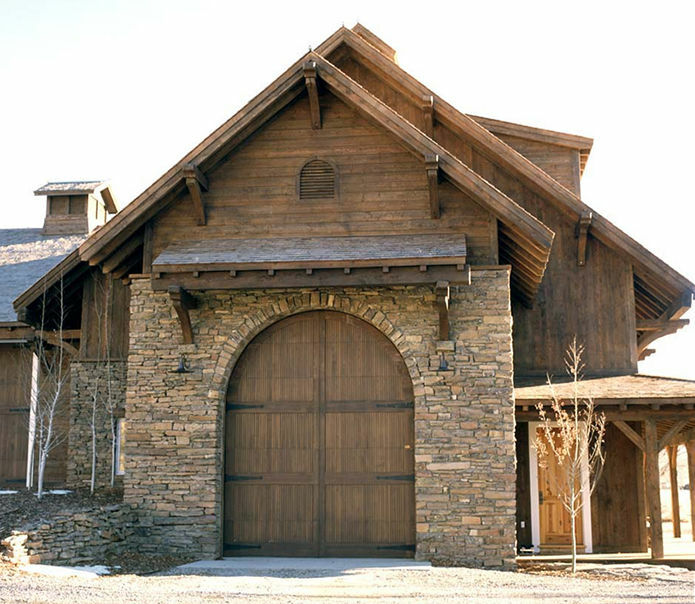 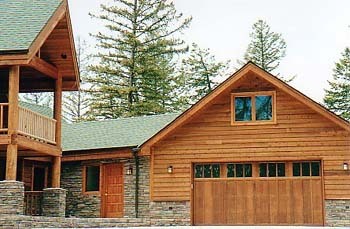 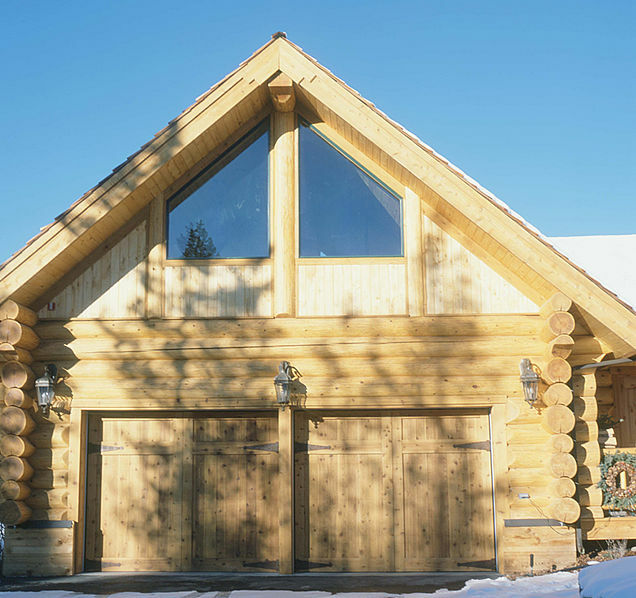 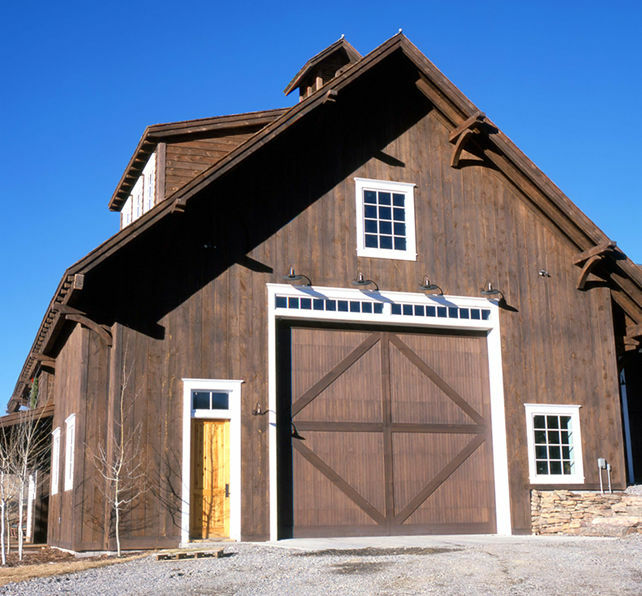 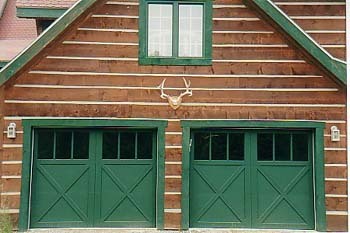 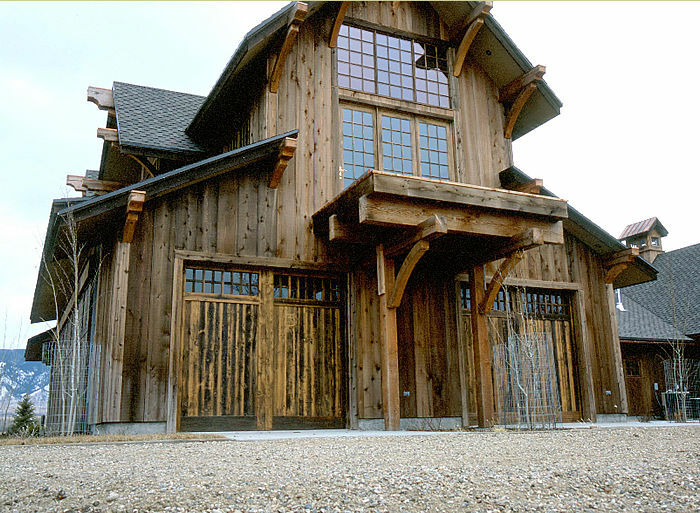 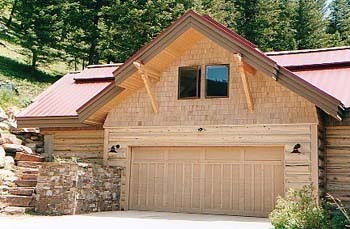 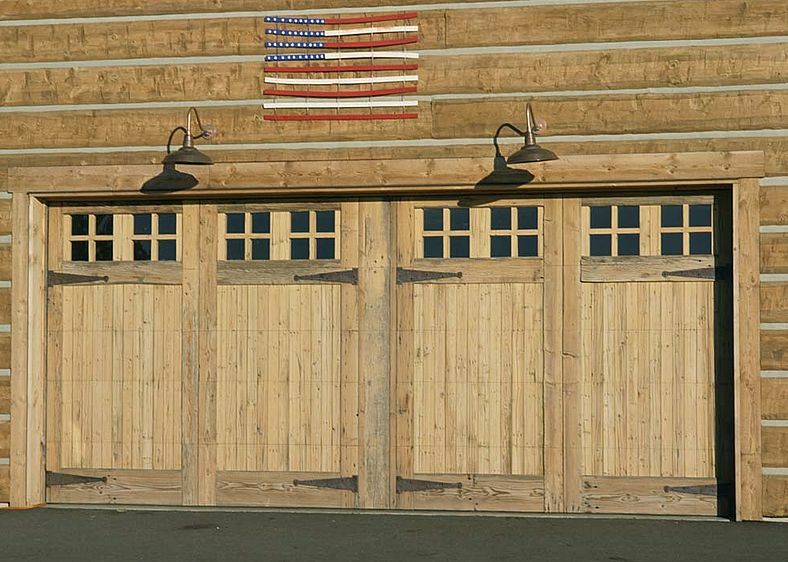 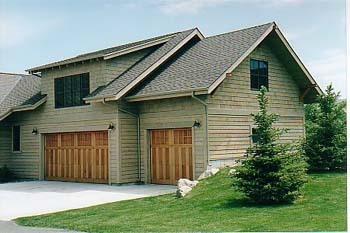 Montana Rustics recognizes the past and seeks to honor their traditions in our garage door designs. 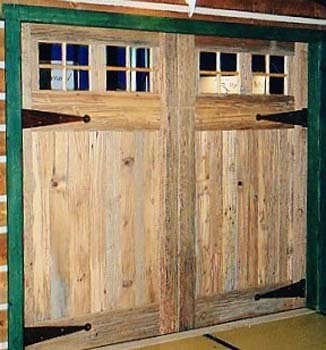 We can recreate an original carriage or barn door from your area! 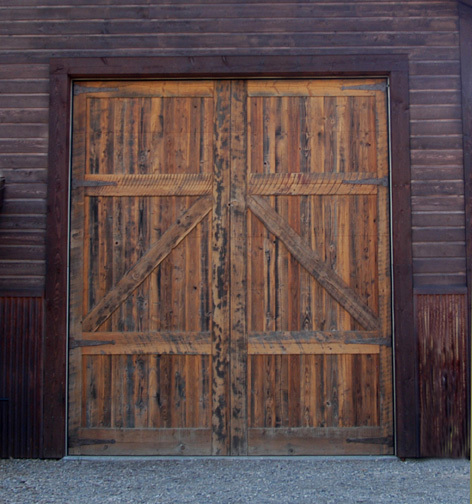 Send us pictures from your past and we will immortalize your own piece of door history in our archives. 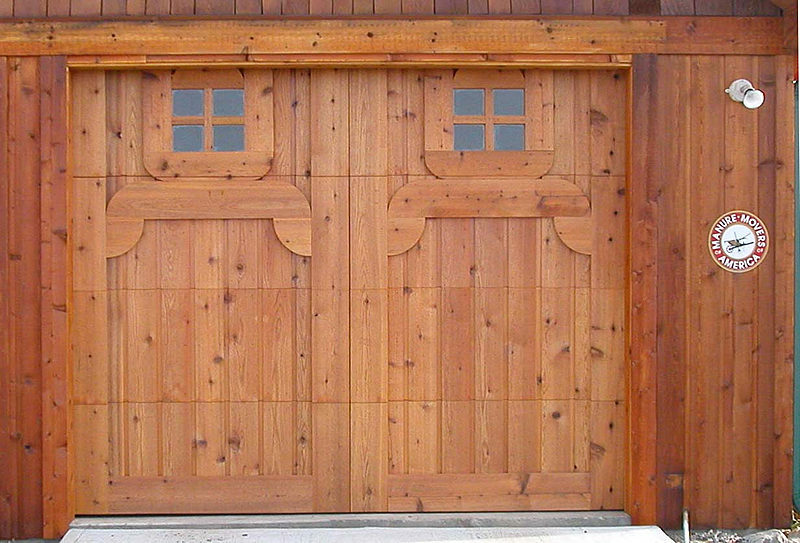 "Thank you for your good service and honest, solid workmanship. 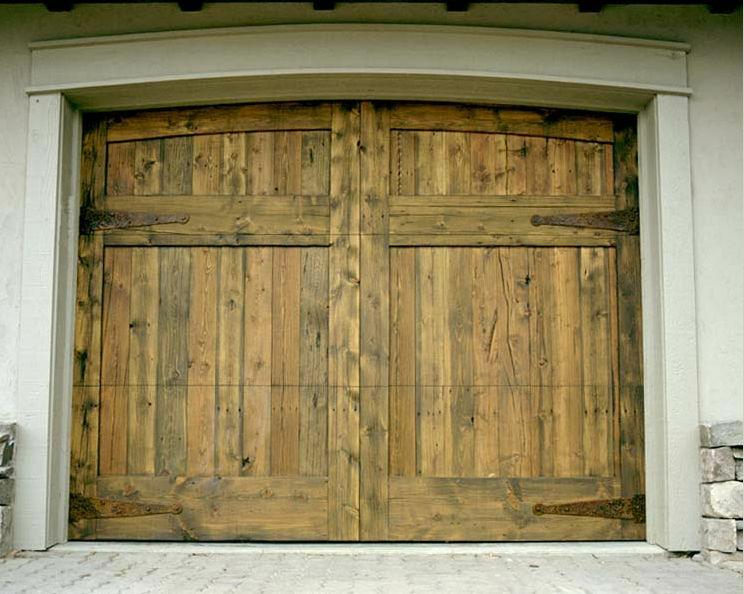 I would be happy to recommend you to my friends."